364 pages | 13 B/W Illus. Food security is high on the political agenda. Fears about societal insecurity due to food price increases and hunger, grave scenarios regarding the effects of climate change and general uncertainty about the impacts of investments in biofuels and so-call “land grabbing” on food prices and availability have meant that food security is now recognised as being a multifaceted challenge. 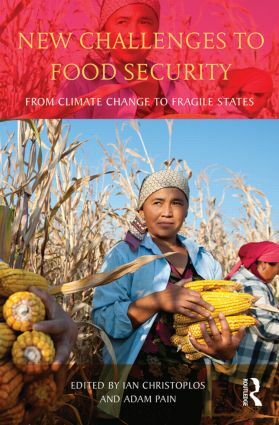 This book is unique in that it will bring together analyses of these different factors that impact on food security. This volume will describe a range of different perspectives on food security, with an emphasis on the various meanings that are applied to food security “crisis”. The challenges to be reviewed include market volatility, climate change and state fragility. Analyses of responses to food security crises and risk will cover rural and urban contexts, arenas of national policy formation and global food regimes, and investment in land and productive technologies. This book is unique in two respects. First, it takes a step back from the normative literature focused on specific factors of, for example, climate change, agricultural production or market volatility to look instead at the dynamic interplay between these new challenges. It helps readers to understand that food security is not one discourse, but is rather related to how these different factors generate multiple risks and opportunities. Second, through the case studies the book particularly emphasises how these factors come together at local levels as farmers, entrepreneurs, consumers, local government officials and others are making key decisions about what will be done to address food security and whose food security will be given priority. The book will explore how food production and consumption is embedded in powerful political and market forces and how these influence local actions. Ian Christoplos is a researcher in Natural Resources and Poverty at the Danish Institute for International Studies working in development cooperation and humanitarian assistance. He has worked as a researcher and consultant for over 25 years. His research focuses on how local actors manage market and environmental risks and conflict. Adam Pain is a Visiting Professor in Rural Development at the Swedish University of Agricultural Sciences in Uppsala. Previously a lecturer in Natural Resources at the School of Development Studies, University of East Anglia, UK, he has worked in natural resource management in Africa and Asia. He is currently also a researcher at the Danish Institute for International Studies.